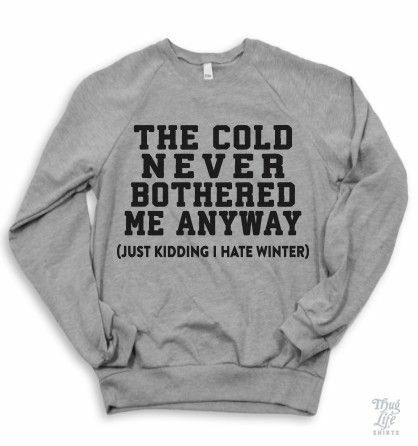 The Cold Never Bothered Me… Yeah, Right. Oh, Frozen… such a cute movie. Lili forced me to watch it in August and it is adorable. I love it, but I love the jokes that have come from it more. Example, the sweatshirt below. Any friends still need to get me a gift, try this! Ha!